“We met Eddie at the North Devon show in 2010 and spent time chatting to him while looking at his photos and sample pieces of furniture. At the time we felt the quality of his work was excellent and Eddie came across as a genuine guy with a passion for what he did. We put his card away and, when we were ready to start our kitchen project in 2014 we called him. When he came to visit us at home and discuss what we would like him to make for us, he had lots of ideas to share and returned later with his drawings of the kitchen and utility making it easy to see what he was proposing. Whilst the kitchen was being built we visited his workshop to discuss the finer details. “Eddie Buckpitt has been making furniture for us for more than ten years. During that time he has made bookcases, wardrobes, china display cabinets, drinks cabinets, TV stands and other items. 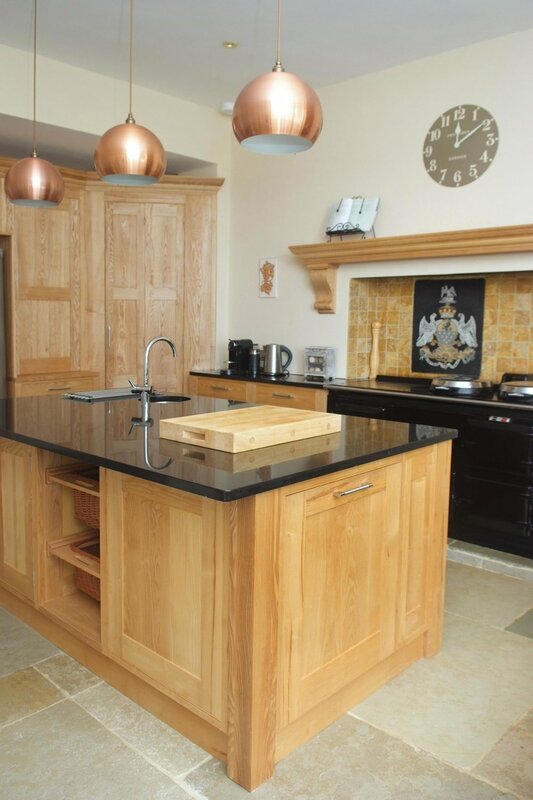 Eddie’s work is always finished to an extremely high standard and, for us, he has worked in a wide range of styles and timbers. We particularly appreciate his skill in incorporating decorative inlays. 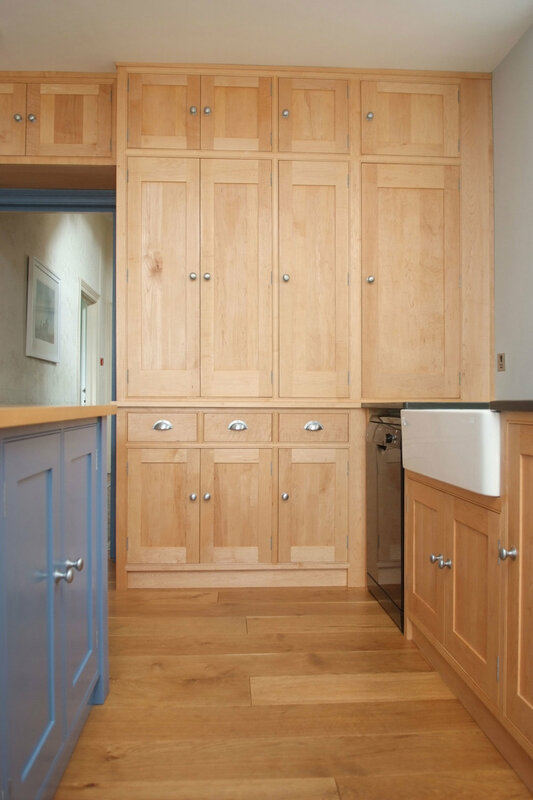 “We commissioned Eddie to make a new kitchen for us when our original kitchen, which he had also built, had been water damaged due to a leak. We knew we wanted something similar to what we already had, but just wanted to make small improvements to make it flow better for us as a family. From start to finish Eddie listened carefully to what we wanted and offered various design options as he began to understand more about what we were trying to achieve. As the design process unfolded there were a few changes, some quite challenging, but for Eddie nothing was too much trouble. He worked with us to make the design I had in my head first become a paper sketch and then reality. His attention to detail and desire to produce a beautiful product is second to none and he will always go that extra mile to make sure what you are getting is a first class product that he is proud to put his name to, and that you are proud to have in your home.